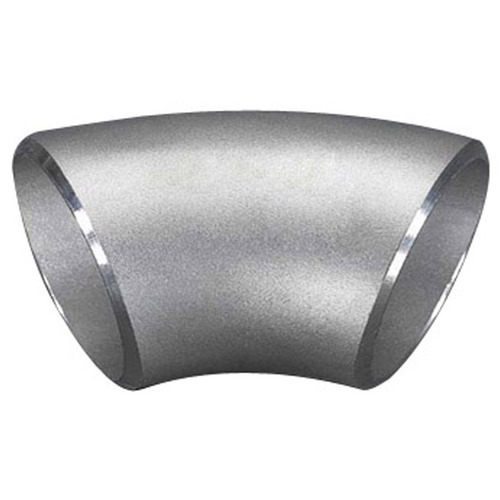 Understanding the requirements of clients, we are engaged in offering an exclusive range of Stainless Steel Elbow. Offered elbow is basically used in various pipelines and joints in houses and other buildings. To ensure optimum quality, it is strictly tested on various parameters before dispersing. As per the requirement of our esteemed clients, the offered range of our product can be made available in different sizes, shapes and other specifications. Incepted in the year 2015, Rajeshwar Steel Baroda is reckoned amongst leading and renowned companies for trading and supplying a large range of Stainless Steel Rod, Stainless Steel Pipe Fitting, Mild Steel Pipe Fitting, GI Pipe Fitting, Mild Steel Bars, Steel Sheets, Steel Plates, Steel Angles, Metal Pipes, Metal Rods, Metal Angles, Steel Pipes, Alloy Steel Seamless Pipes, Mild Steel Products, Steel wire, Stainless Steel Products and many more products. We are Sole Proprietorship (Individual) based company which aims to provide quality approved products to the customers. Our products are used in various places for their sturdiness, long lasting life, fine finish, accurate dimensions, corrosion resistance and many more. We provide products to the customers as per their needs and source from leading vendors of the market. Customers can avail products from us as per the industry standards and known for their effective usage in various places. Shed No. A-1/922/17, G. I. D. C.